Elakati Luxury Boutique Hotel is a themed hotel that consists of eleven rooms, with distinctive design. The Boutique Hotel was given the name Elakati (distaff) as weaving was an important tradition for women in ancient Greece. 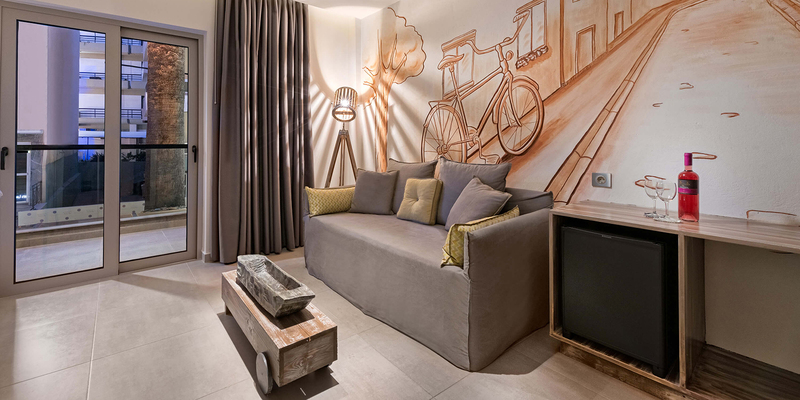 The Hotel’s design reflects its name in a creative and unusual way, with exclusive themes on each floor featuring details that portray the island of Rhodes. 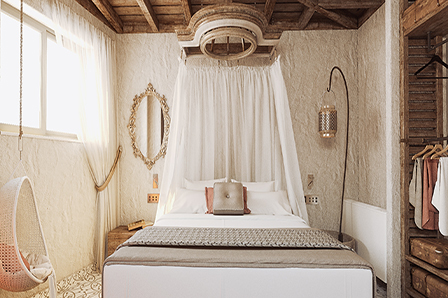 As the wool wrapped around the “Elakati” unfolds in the weaving process, this is how the history of the island of Rhodes is revealed from the ground up in this themed hotel. A lovely blend of history, nature and elegance used to create a unique atmosphere. “Elafos”, meaning “Deer” the symbol of the island of Rhodes, is the name of the room on the ground floor designed to offer comfort to those with disabilities. “Anthokipos” , which means “Flower Garden” , is the theme of the first floor. The flower names “Gerani”, “Aspalathos” and “Iviskos” were given to the rooms as they grow in abundance on the island of Rhodes. 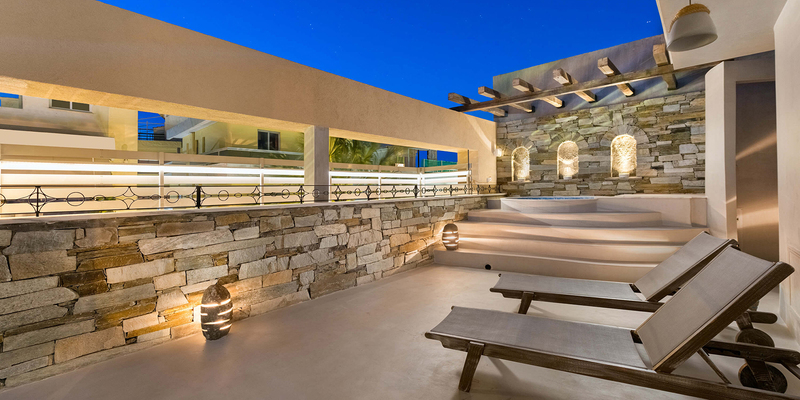 “Pelagos” is the theme of the second floor, a Greek word for Sea, while “Faros”, “Nisos”, and “Kavos” are the names of the rooms and refer to the beautiful waters of the Aegean Sea. 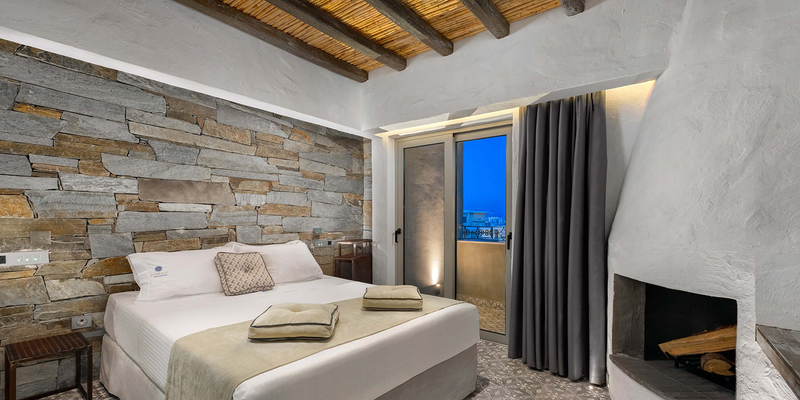 The third floor was given the name “Mythos” as the rooms “Milos”, “Castro”, and “Vrachos” consist of elements that reflect the history of the island of Rhodes. Finally on the last floor the suite “Helios”, meaning “Sun”, as Rhodes is known as the Island of the Sun, since it shines brightly 300 days a year. Explore the rooms and choose the one that suits you best!